How would you flaunt that Vintage Valentino you loved very much on runway but would never be able to afford it? 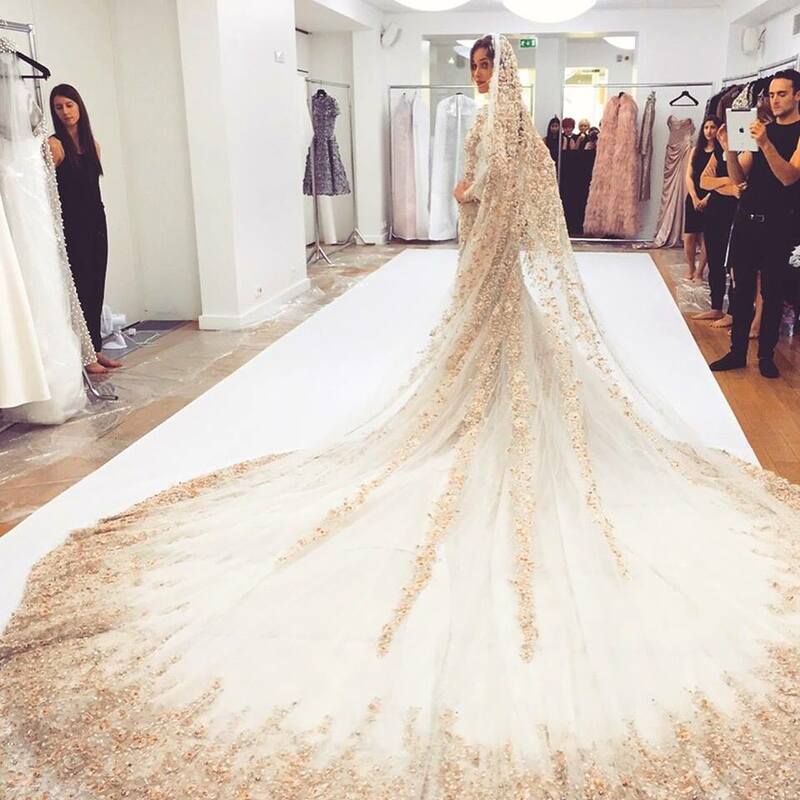 Would you like to wear your favorite Merchesa or Georges Chakra gown without having to purchase it? Consider yourself lucky because the one fashionista – Shilpa Bhatia has made this possible for you in India! Shilpa with all her love for fashion started a concept store named “The Clothing rental” where you can rent your favorite Zara or Babe jumpsuit for just a fraction of the price. The store provides highend Italian/French labels and also offers wide range of Indian bridal wear. Shilpa makes the fashion really affordable with her brilliant idea with the obvious logic- affordability for the high-end label, very cliché for fashion lovers in India. Shilpa’s clientele includes but not limited to fashion week regulars and Bollywood professionals. Dolce and Gabbana, Armani, Hugo Boss, Carolina Harrera, Zegna, Alexander Wang, Anamika Khanna and Manish Malhotra are few of the labels available at “The Clothing rental”. Shilpa has expanded her business into two beautifully decorated stores located in Bandra and Versova. You can also rent your favorite fashion labels online. “We truly believe in offering value and it shows in our product and service.” Comments Shilpa. I made a quick video of my favourite shoes of the season! I have been crazy for the high-top sneakers for a while and thought it’d be fun to share with you some of my favourite sneakers. The list includes Versace,Adidas Originals X Jeremy Scott, Balmain, Buscemi, Giuseppe Zanotti, Givenchy, Maison Margiela, Raf Simons, Saint Laurent and Kris Van Assche. 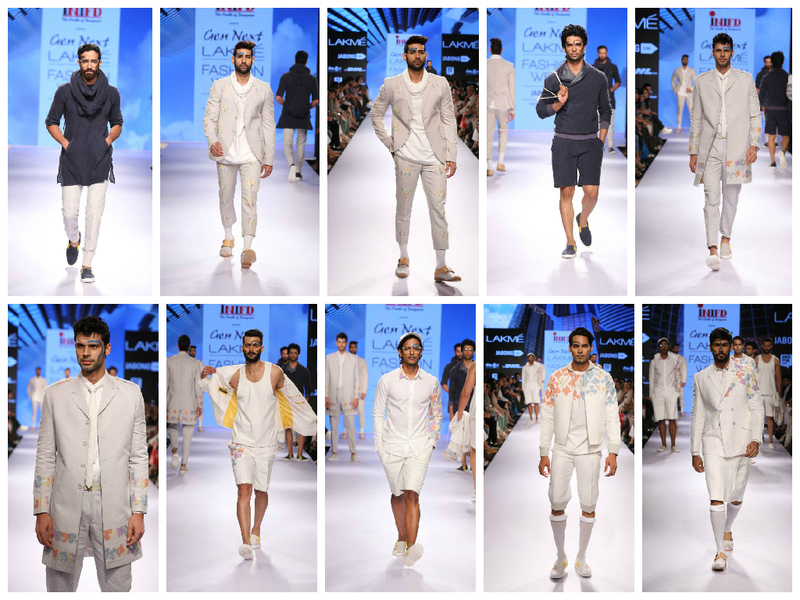 Gen Next designer at Lakme Fashion Week Summer Resort 2015, Manish Banshal Presented his all-menswear collection that took inspiration from casino and game of gambling. Innovative collection by the designer offers various options to the men who prefer to keep it on edge and is never afraid to experiment. Discreet minimal prints appeared repeatedly on shirts, blazers, shorts, bomber jacket and tank top. White and grey were the major shades. Knit kurta with kangaroo pockets and thigh long coats were one of my personal favourites. In my opinion, Manish must have been the first designer to put a skirt on men for Indian ramp. The prêt collection with slight feminine touch addresses well to the fashion conscious guys like myself. 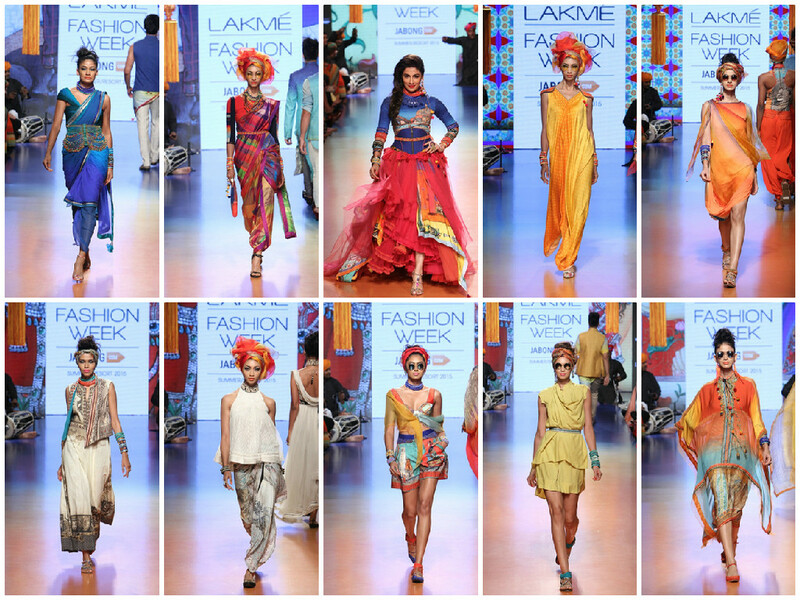 Tarun Tahilaini presented his collection “past modern” on Day 4 at Lakme Fashion Week Summer Resort 2015. The collection was inspired by Twin Singh’s painting which Tarun beautifully transformed into clothes. The alluring digital prints made the collection something that can be termed as contemporary royal. Collection has many notable elements including Saris with Starlite LED like borders, Dhoti Sari, leggings and dresses with multiple layers, kedeo tops and kalidar kurtas.Menswears were kept rather wild with bold prints, non – quilted waist coat and cowl draped sherwani.